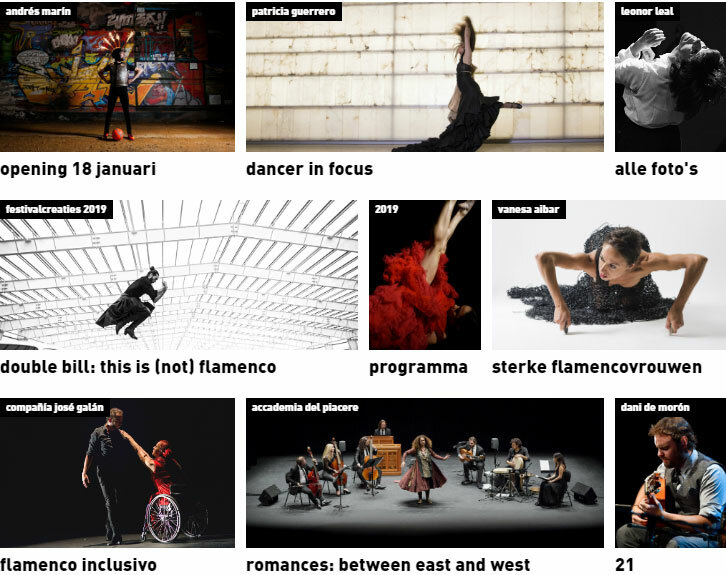 Holland’s Flamenco Biënnale is getting underway, celebrated every two years in various locations throughout the Netherlands such as Amsterdam, Utrecht, Antwerpen and Eindhoven among others. The Dutch bienal is one of those events that proposes new paths, the unsettling connections that stir things up among flamenco fans and which are incredibly interesting for outsiders, foreigners and other people not involved in the original flamenco culture. Compared to the Bienal de Sevilla, you get the impression that the Dutch Bienal is more and better accustomed to the avant-garde. You know that when we speak of Europe as having two speeds within flamenco, it means Holland is going faster than the rest. Ernestina Van der Noort is the director of the Flamenco Biënnale, and she’s very clear about offering the Dutch audience a lot of “contemporary dance”, and those experiments which, sometimes, take their time in reaching Spanish venues. But if you think Ernestina has no interest in classic flamenco or doesn’t know the roots of the art-form, then you haven’t seen the documentary “El Cante Bueno Duele” (2011) co-directed with Martijn van Beenen and which presents the flamenco atmosphere of Jerez through the figure of Moraíto Chico. 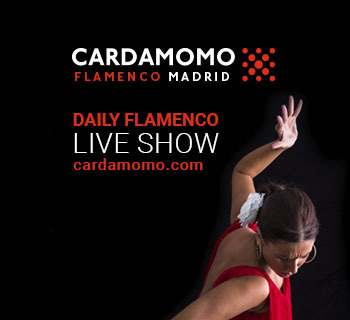 The first impression upon seeing the festival’s program is that the Dutch organization takes every opportunity to introduce flamenco in the proposed shows. Andrés Marín stars in “El Quijote”, but not without first passing through the Instituto Cervantes and participating in the talk on ten reasons to read Don Quijote. There is an abundance of documentaries regarding the program. No surprises here, dance is much-appreciated and if it’s modern, all the better. Olga Pericet, Leonor Leal, Patricia Guerrero, José Galán, Al Andalus, Anabel Veloso, El Periquín y su “Tributo a Michael Jackson” are the shows that precede the presentation of Tremendita’s “Delirium Tremens”. A show I’m curious to see once again to see its evolution. 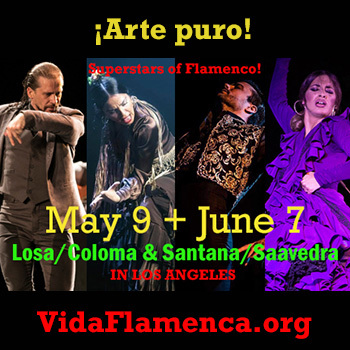 It’s one of these shows you have to see to continue supporting the evolution of flamenco. This year the star of the festival is José Quevedo “Bolita” who will perform with jazz pianist Tony Roe, and February 2nd we’ll see him with the big band he put together with saxophone-player Bernard Van Rossem who has for years been directing a band that combines flamenco and jazz. Fahmi Alqai made a group to interpret antique or historic music, and he called it the Accademia del Piaccere, which might be an attack on certain truths assumed by academics. To create in the past can be as difficult and creative as figuring out the future. The man behind the idea is Seville musician Fahmi Alqai, one of the stars of antique music (for reasons complicated to explain, antique predates classical). The group is made up of percussionist Augustin Diaserra and guitarist Tino Van der Sman, one of the top guitarists in Seville, now recording with Esther Weeks. The other important item of the festival is guitarist Dani de Morón who is presenting his record “21”, and he’s presenting it with a trio of singers that looks perfect on paper when it comes to repertoire: Jesús Méndez, Duquende and Antonio Rey, and dancer Patricia Guerrero. Amir Elsaffar is a trumpet-player of Iraqui origin who has played with Cecil Taylor and Marc Ribot and who will be accompanied by the voice of Gema Caballero. The surprising Eduardo Guerrero will take on Slagwerk Den Hag, a percussion group from the Hague who have been investigating a vast variety of terrains, another unusual combination. Rafael de Utrera is featured with the Arbos trio. Flautist Sergio de Lope will present “Una noche en Utrera” , a combination of very solid flamenco jazz we saw at the Teatro Flamenco Madrid. The closing will be the dancing of Vanesa Aibar (with the singing of Tremendo Hijo), Israel Galván with “La Fiesta” and David Carmona with Kiki Morente.